The Adventure Team Rocket Pack (7315) is a common accessory set. 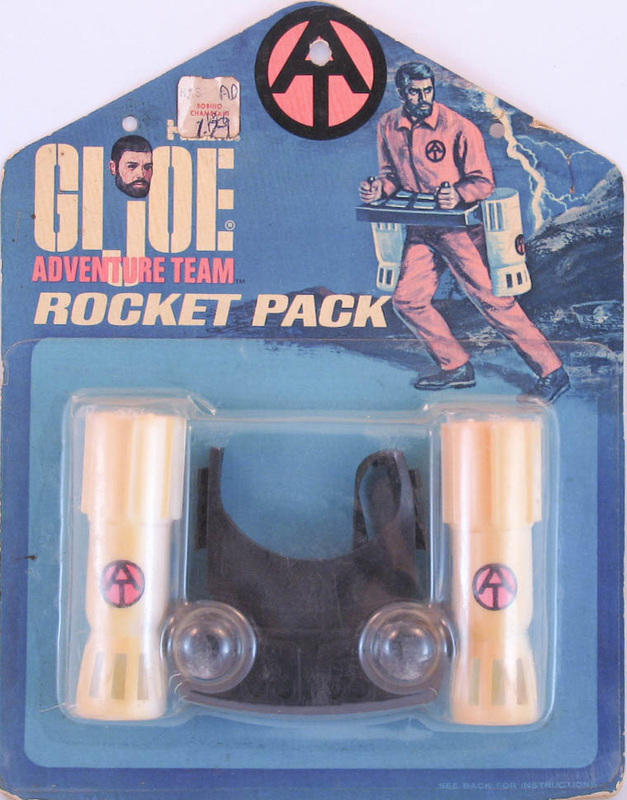 Two high power rockets attach to a control board with joysticks that strap around Joe's waist. No matter that they would set his pant legs on fire in use, and that the control panel would shoot up into his armpits. It's all part of the adventure!